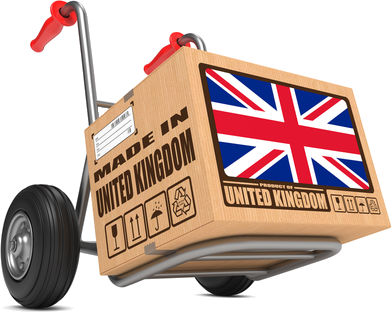 Information on how to order an arcade machine/cabinet from Custom Arcade Machines UK and how we deliver. Delivery/lead time is currently 2-4 weeks from ordering. Please read below and feel free to Contact Us for more information. 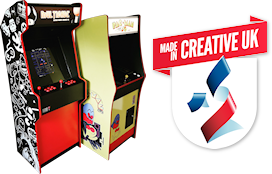 While many of the arcade machines we manufacture are based on one of our original designs, we offer a degree of customisation with every order. Before moving on to payment and ordering, we'll help you complete your desired specification. For more information please Contact Us. Once ready, payment in full is required to order. Payment includes any agreed shipping costs. We accept payment via credit/debit card, cheque or direct bank transfer. We don't accept cash payments. We don't start manufacturing until payment is fully cleared (where applicable). Card payments are processed via Stripe. Delivery costs vary depending on location with costs between £125 and £225. All machines are manufactured to order with a lead time of 2-4 weeks. Delivery is via dedicated courier straight from our workshop to your home or place of business. An able-bodied person will need to be on hand to aid in offloading the machine at the delivery destination. Due to the cost involved, deliveries to Scotland and the North-East of England may take up to 3 weeks longer as we amalgamate orders where possible. Our machines are all fully complete and ready to play, simply plug the power lead in and go!